Emory physical chemist Tim Lian researches light-driven charge transfer for solar energy conversion. Photo by Bryan Meltz, Emory Photo/Video. Chemists have found a new, more efficient method to perform light-driven reactions, opening up another possible pathway to harness sunlight for energy. The journal Science is publishing the new method, which is based on plasmon – a special motion of electrons involved in the optical properties of metals. Plasmon is a collective motion of free electrons in a metal that strongly absorbs and scatters light. 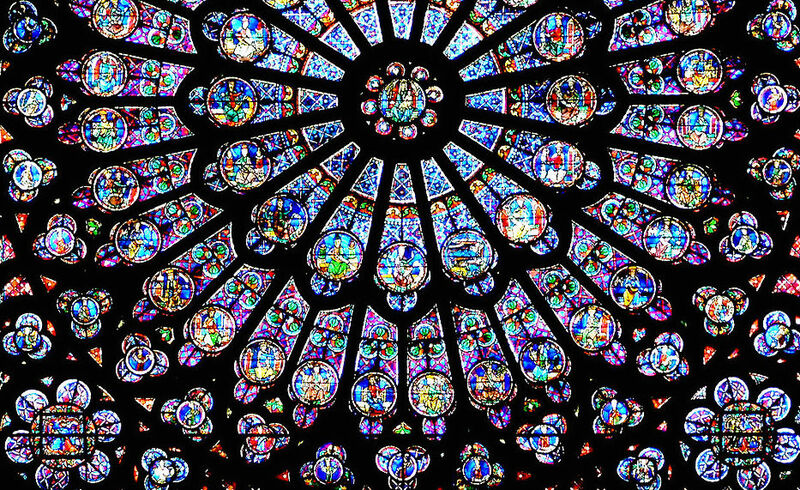 One of the most vivid examples of surface plasmon can be seen in the intricate stained glass windows of some medieval cathedrals, an effect achieved through gold nano-particles that absorb and scatter visible light. Plasmon is highly tunable: Varying the size and shape of the gold nano-particles in the glass controls the color of the light emitted. Surface plasmon effects can be seen in the stained glass of some medieval cathedrals. 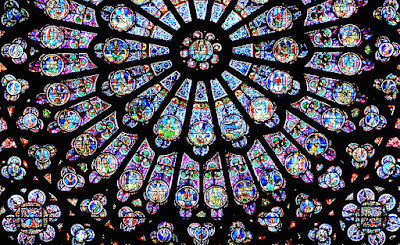 Photo of rose window in Notre Dame Cathedral by Krzysztof Mizera. Transmission electron micrograph (TEM) of cadmium selenide nanorods with gold tips. 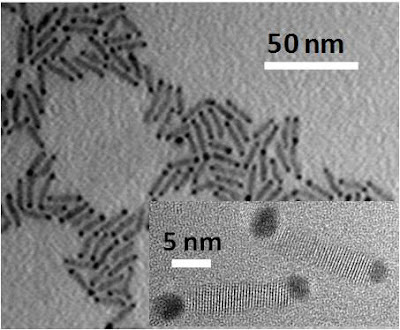 Inset shows a high-res TEM of two nanorods. Micrographs courtesy Kaifeng Wu and Tianquan Lian (Emory) and James McBride (Vanderbilt). Should babies be screened for autism risk?